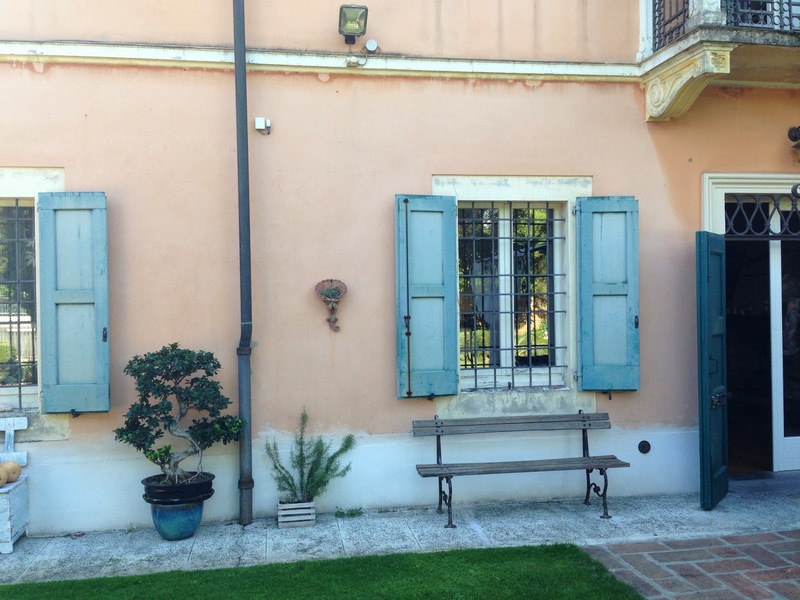 We headed to the outskirts of Modena to Acetaia di Giorgio – one of the few remaining traditional balsamic vinegar producers in Italy. We assembled in the garden of the house with several other curious minds and waited for the tour to begin. The tour started and we climbed several flights of stairs to the side of the house, into the attic. 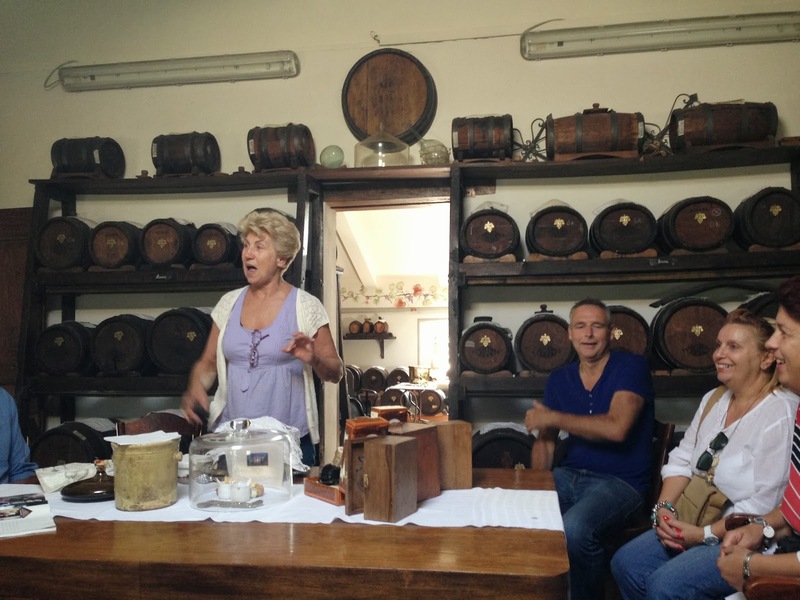 There, Giovanna talked to us about how balsamic is produced, how to tell if a balsamic vinegar is traditional and about some of the awards that their vinegar has won over the years. Barrels are organised into batteries. A battery generally consists of between 4-6 normal barrels and 1 mother barrel. 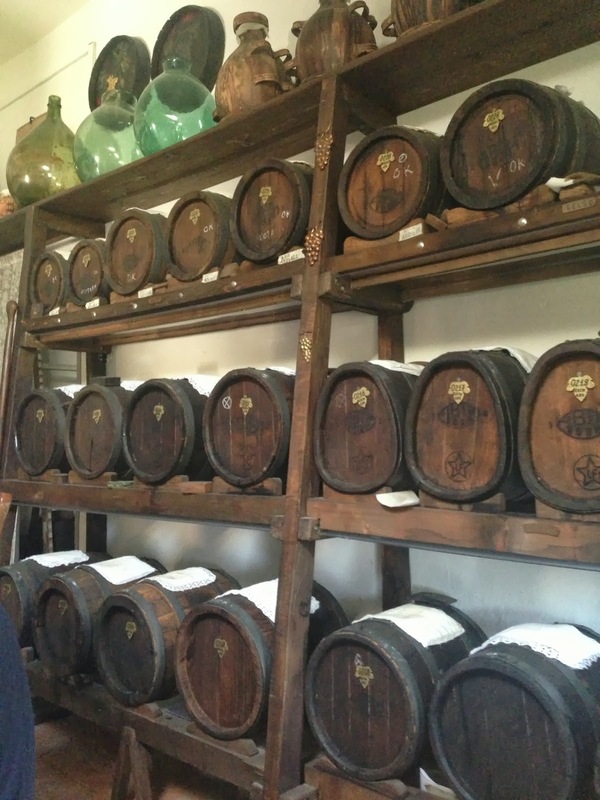 Each battery will produce around 2-4 litres of balsamic vinegar a year. Not much at all… So they cram the attic with as many batteries as possible. The batteries work in quite a wonderous way. 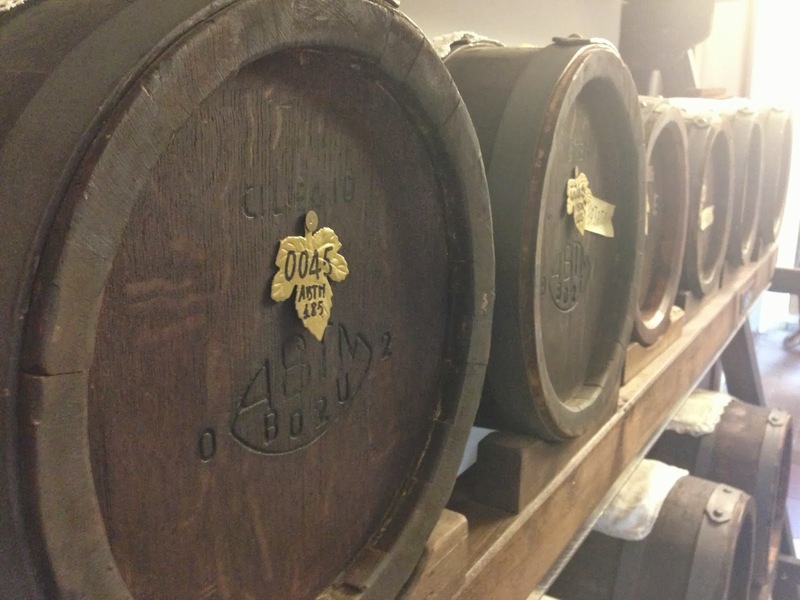 Each barrel has an open top (covered with a doily) allowing alcohol to evaporate from the vinegar. The volume in each barrel therefore reduces. The smallest barrel (number 5) is used to siphon off the vinegar into bottles. The barrel next to it (number 4) has to top up whatever is taken for bottles, plus whatever has evaporated from number 5. Barrel number 3 has to top up what has evaporated from number 4 and what has been taken from number 4 to refill number 5. 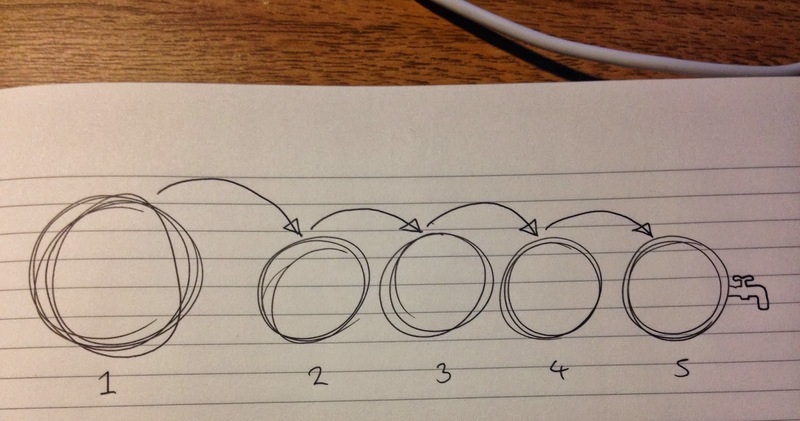 Barrel number 2 has to top up what has evaporated from number 3, plus what was used to top up barrel number 4. And then the mother barrel tops up number 2, to account for evaporation and what has been lost to fill up number 3. The mother barrel is filled up from a different mother barrel entirely. 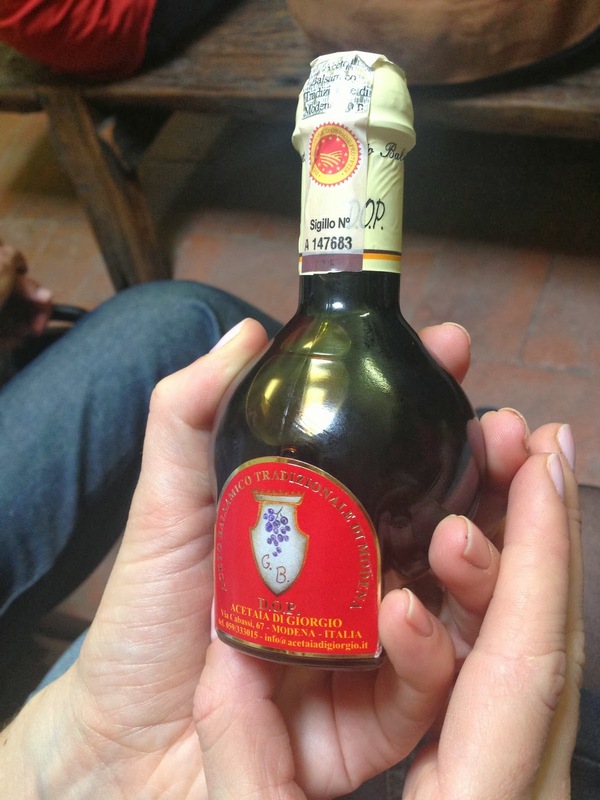 Only manufacturers of traditional balsamic vinegar can bottle their vinegar in this shaped bottle. If you receive any vinegar in a different shape, it’s not traditional. Traditional also seems to be a pretty closed loop now. 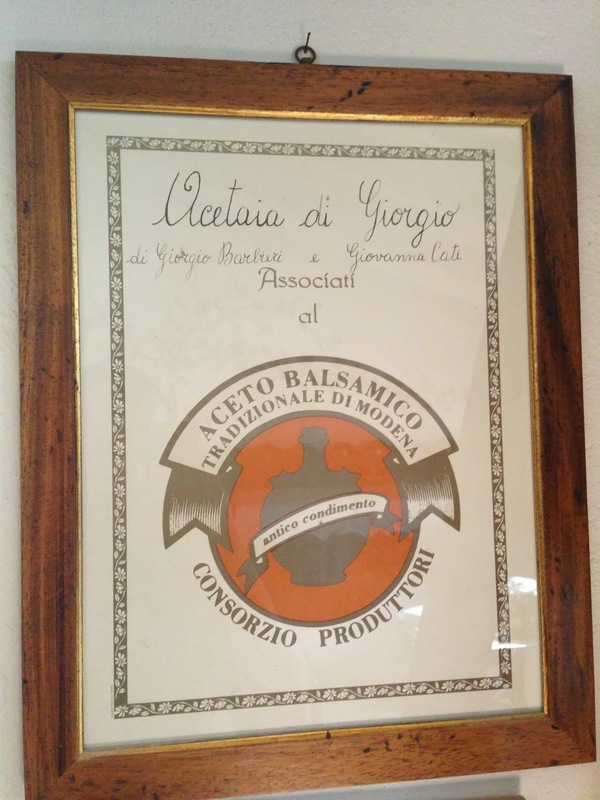 Modena City Hall judges every vinegar manufacturer each year – to determine whether they should be a member of the Aceto Balsamico Tradizionale di Modena consortium. It’s an exclusive club, and for that reason it’s effin’ expensive to buy too! 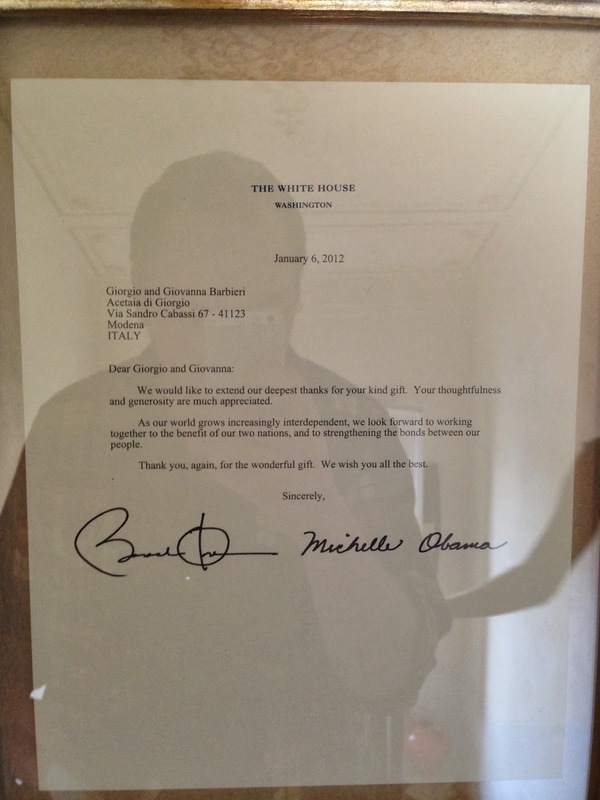 There was even a nice thank you note from the Obamas displayed near the entrance. Really well worth the visit if ever you’re in Modena.